Before tribute concerts to legendary artists became the norm, the gold standard was the one held for Bob Dylan at Madison Square Garden back in 1992, what was then the 30th anniversary of his first album for Columbia Records. It was a star-studded affair worthy for such an influential artist headlined by a virtual who’s who of music’s elite: John Mellencamp, Eric Clapton, George Harrison, Neil Young, Tom Petty and the Heartbreakers, the Band, Lou Reed, Johnny and June Carter Cash, Chrissy Hynde, Stevie Wonder and Roger McGuinn were just some of them. Accompanied by a crackerjack and hot house band, the performers really shined with their passionate and heartfelt renditions of Dylan’s iconic song catalog from “Like a Rolling Stone” through “Masters of War” and “Highway 61 Revisited,” to “My Back Pages.” Naturally, Dylan himself made an appearance towards the end with “It’s Alright, Ma (I’m Only Bleeding)” before leading the ensemble for “Knockin’ on Heaven’s Door.” This new deluxe reissue of the 2-CD live set now contains two previously unreleased rehearsal performances by Eric Clapton (“Don’t Think Twice (It’s Alright)”) and Sinead O’Connor (“I Still Believe in You,” which unfortunately she didn’t do at the actual show. 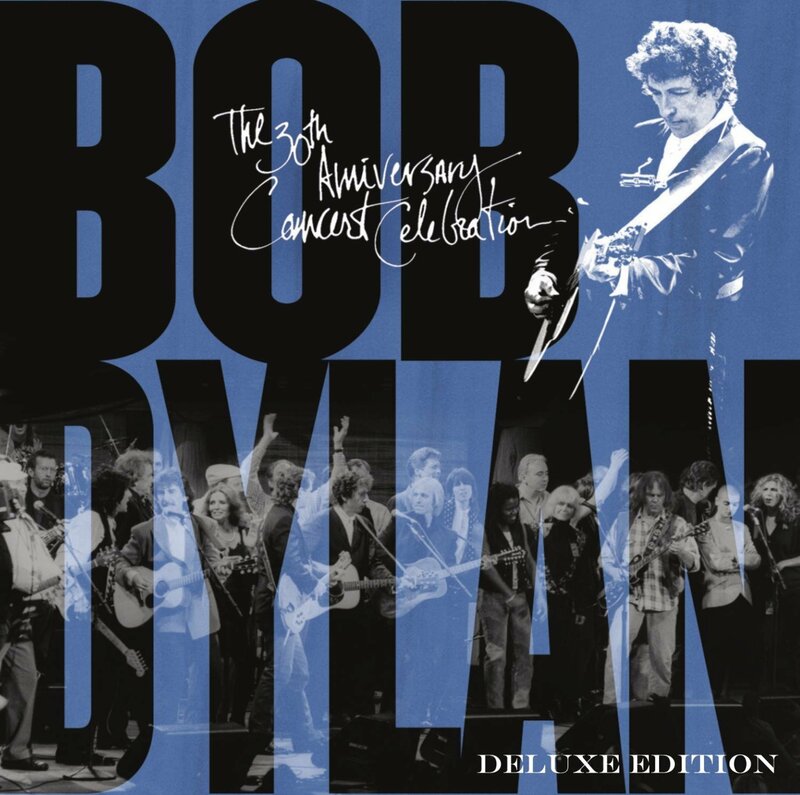 As the 30th Anniversary Concert Celebration demonstrated, Dylan’s music was still timeless as it is now more than 20 years after the fact.